Already own a home in the Battles Wharf Estates subdivision? Thinking of selling? Click here and read about current search trends & our web network. Battles Wharf Estates is directly on Mobile Bay just South of the downtown Fairhope, AL business district. The community of Battles Wharf Estates has homes directly on the bay and some of the homes offer views of the bay. 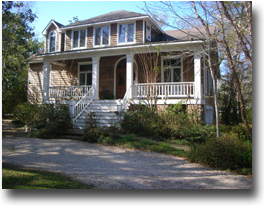 This small subdivision is close to numerous area attractions such as Lakewood golf club, art galleries, unique boutiques and various restaurants which are all located in one of America's favorite places to live in Fairhope, Alabama. If you need further info, have questions or would like to schedule a viewing for any of the homes for sale in Battles Wharf Estates or any other properties in the area, please email info@condoinvestment.com or call (251) Area-Pro (251-273-2776) for immediate assistance.